The closest thing I've ever come to a birds nest soup was from a Knorr instant soup package. The real thing is outrageously expensive, it's worth a king's ransom. 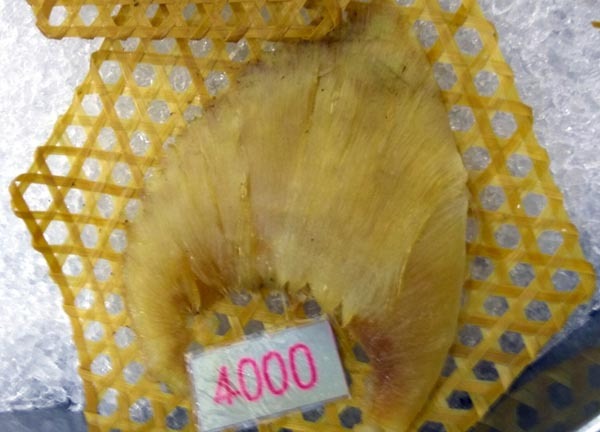 The most expensive I've seen from Burapa is B80,000/kilo (US$2,425/kilo). B3,500 seems like a lot of money for soup, but for authentic bird's nest, all we could get for that kind of money was a medium-sized bowl - trippy! If you talk about food for the gods, this might as well be it. But I'm jumping ahead of myself. How did all this come to happen when I struggle to find a decent B30 meal on the streets of Chiang Mai? It all started with intention. Mike, my host in Chiang Mai, has been killing me with kindness and all I wanted was to say 'thank you' in my currency - not money because I have none. The intention puts things in motion behind the scenes - even from me. The next moment, I was inside this resto, Natural Bird Nest by Burapa, talking to traditional Bangkok-based Chinese Thais serving/selling authentic birds nest in Chiang Mai. I met Nick - young (22 years old), grounded, US-educated, smart and forward-thinking. I explained to him my proposal. He was interested, consulted with his Mom (who I initially thought was his girlfriend - seriously! ), and we shook hands on the barter deal - one year ad placement in exchange for bird nest soup dinner worth B3,500. I'm glad Mike brought his wife, Bee. I've heard so much about her. Now, I finally met this special woman whom Mike gave up his gallivanting life as a bachelor for. And yes, for good reason! Bee is lovely with a disarming charm. The 3 of us met at Chiang Mai's popular Hand-Made Pizza. Mike had the foresight that a small bowl of soup cannot feed 3 grown-ups. He brought out brandy and I joined him - my first drink in 6 months. The 3 of us had synergy. I enjoyed watching the couple play their dynamics. It felt like a ringside seat to a play. There is something theatrical about them when they are together. After 2 pizza pies, we headed out to Natural Bird Nest by Burapa where Nick welcomed us. After the proper introduction, Nick was kind enough to give us a tour of the shop/resto. 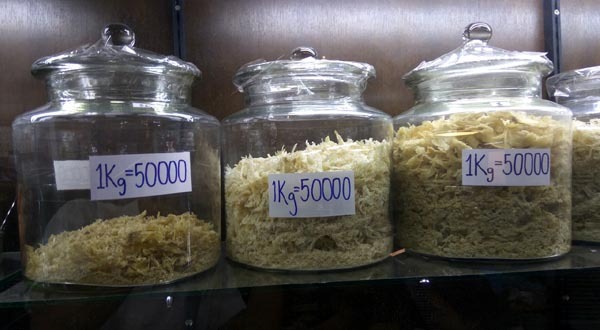 He showed us partially prepared bird's nest and shark fin in jars soaked in ice. 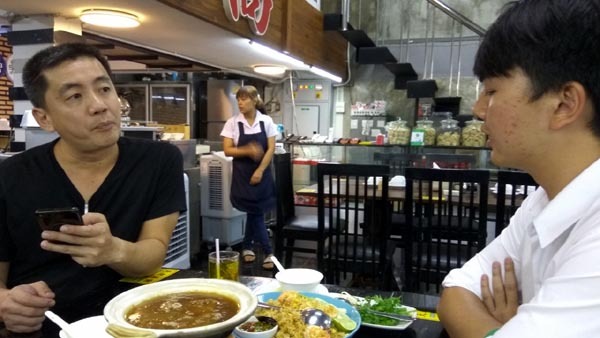 Bird's nest soup ranged from B100 to B4,000 per bowl! 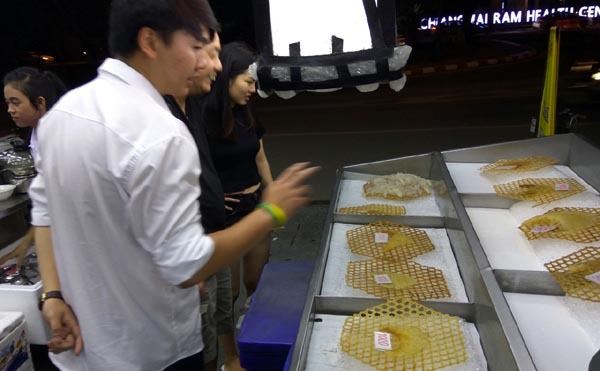 The bird's nest in elegant dry packages reached a staggering B8,000/100 grams. It was mind boggling for me how some people can fork that kind of money for a soup. But just before we arrived, the place was packed full! I failed to ask Nick what the difference is between the B100/bowl soup and the B4,000. 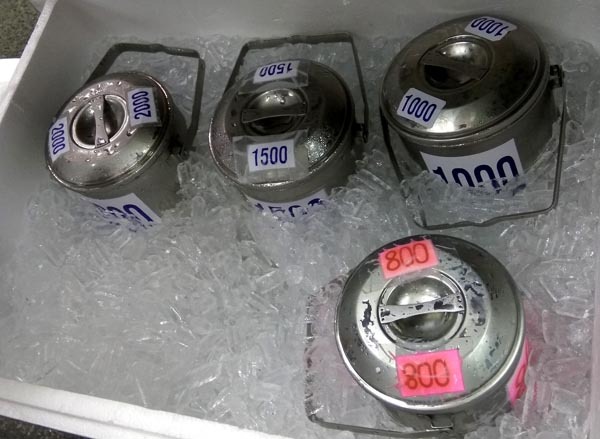 Will the B4,000 soup cure your cancer? Will it keep you young forever? Will it give you a 24/7 hard on? Or is it just a taste difference? Instead of us choosing what's on the menu, Nick graciously offered to prepare everything for us in a way he saw fit. Wow! You don't get that kind of service everyday. Apparently you just don't gobble down such a prized soup. There is a reverential ritual to it. 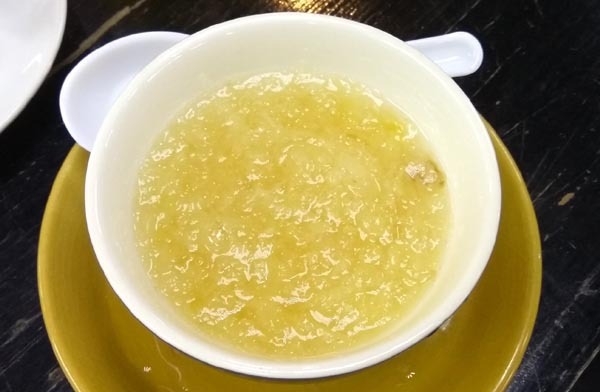 First, an intro birds nest soup (not the main deal yet) was given to us to which honey was added together with a yellow fruit. It was supposed to enhance the taste. 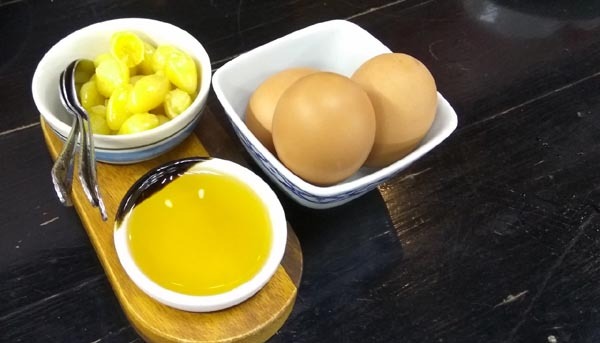 Halfway through our individual bowls, a 6-min soft boiled egg was mixed into the soup before it was finished. That alone was richly satisfying already. But the main dish has yet to be savored. 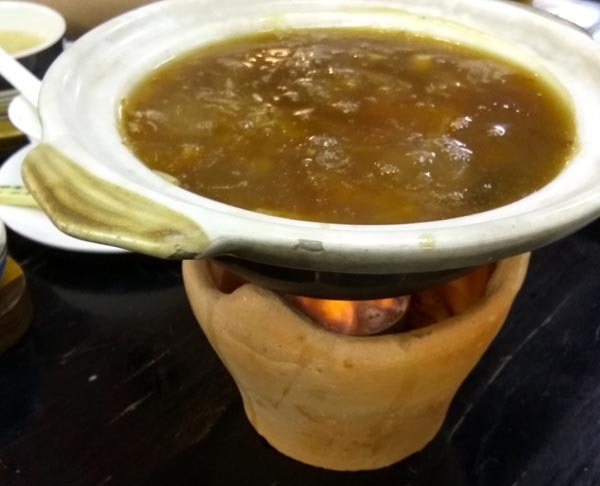 While we were enjoying the intro portion, the main dish was being heated in front of us. Finally, it was ready and we took turns to ladle it onto our soup bowls. I was waiting to hear to a drum roll before I took the first spoonful. I rolled it inside my mouth, allowing it to mantle all the taste receptors, pretty much like tasting vintage Bordeaux. 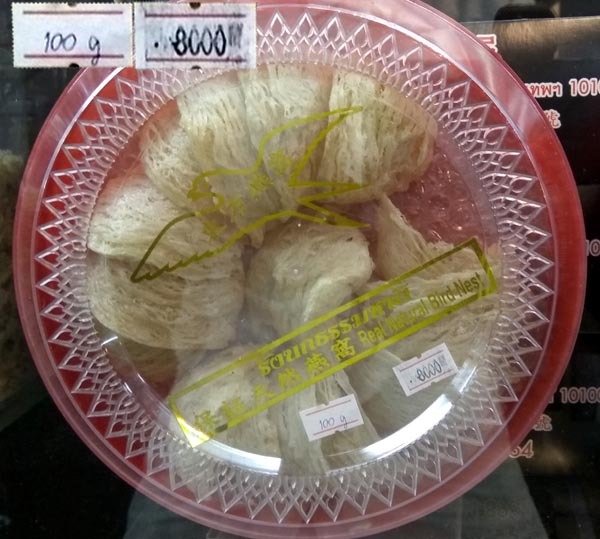 The texture was slimy with the gelatinous and stringy fiber-like strands of the bird nest. Taste? It was heavenly delicious - maybe if you die and go to heaven, this is all you eat. The experience? Pure bragging rights! I was laughing on the floor as they compared notes - in their own mildly-subtle Chinese way. At the end of it, I found them more similar than they were different - I think they felt the same way. It was fascinating and hilarious! It was the highlight of the evening together with the B3,500 bowl of soup in front of us! 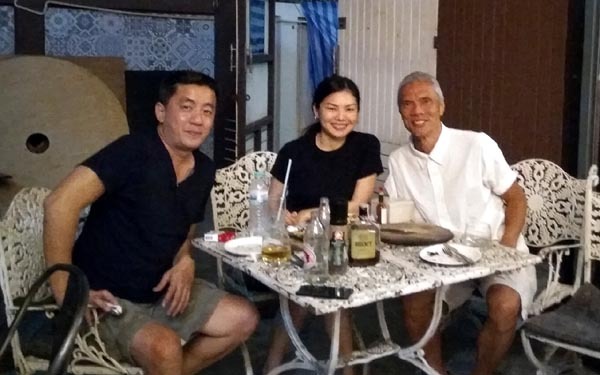 For a guy who struggles finding a decent B30 meal on the roadside eateries of Chiang Mai, I was able to host and treat Mike and Bee to a special dinner. I'd been wanting to thank Mike for all his kindness, but didn't know how, until my universe stepped-in. Even a magician would be hard pressed to pull a rabbit out of a hat like that. Indeed, the universe works in mysterious ways to manifest my deep-seated desires. Of course I am grateful to be savoring such expensive delicacy. Who knows if I ever get this opportunity again? Thank you Nick for being such a wonderful and gracious host. You didn't have to, but you went the whole 9 yards making us feel welcome and at home. This is one experience I'll be committing to memory.